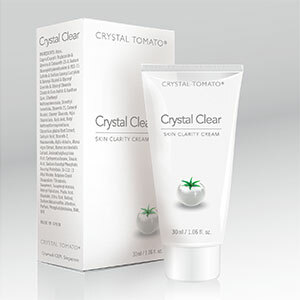 Crystal Clear Skin Clarity Cream is an exciting new topical cream from Crystal Tomato for the treatment of melasma, and pigmentation of a melatonic origin. Crystal Clear Cream is suitable for all skin types. 2 of the best things you can do for your skin and for treating melasma are right here. Safe, simple, and proven to be more effective than the gold standard of treatments. It has now been clinically proven that using Crystal Clear whitening cream as a topical treatment in addition to the one-a-day intake of Crystal Tomato supplements will bring about quicker, better and longer improvements. Together, they form an unsurpassed and extremely exciting new treatment for patients of stubborn melasma and pigmentation.